As a lover of mediterranean food and all things fish & seafood, as soon as I met James and found out about his delightful CaféMed, I knew I had to try it! I went to Doncaster Market today to buy pork meat and sausage casings from Ben Marshall Butchers to make some Sardinian Sausages and some Lincolnshire Sausages (more about these once I’ve made them! ), so decided to treat myself and my daughters to some mediterranean flavours for lunch. CaféMed is in the middle of the International Food Market area of Doncaster Market and makes excellent use of the small space it is situated in by having a worktop spanning 2 sides, with comfy barstools inside and outside, as well as some lovely mediterranean-style round tables inside the Café space. We got there at around 1.30pm and the place was bustling with activity. Lots of people enjoying a glass or bottle of wine at a leisurely pace, along with their abundance of scrumptious mediterranean delicacies. The menu features a variety of seafood- and meat-based dishes from France, Spain and Portugal, and their menu states they’re always happy to cater to vegetarians, too, so there is something for everyone. I had the Catalan Mussels (see above), which were delicious, with a rich sauce infused with paprika flavours and just a hint of heat; the sauce could have been a soup in its own right and there was plenty of bread to dunk into it! My eldest daughter had the Bifana; this is a Portuguese dish I wasn’t familiar with but that certainly went down a treat. 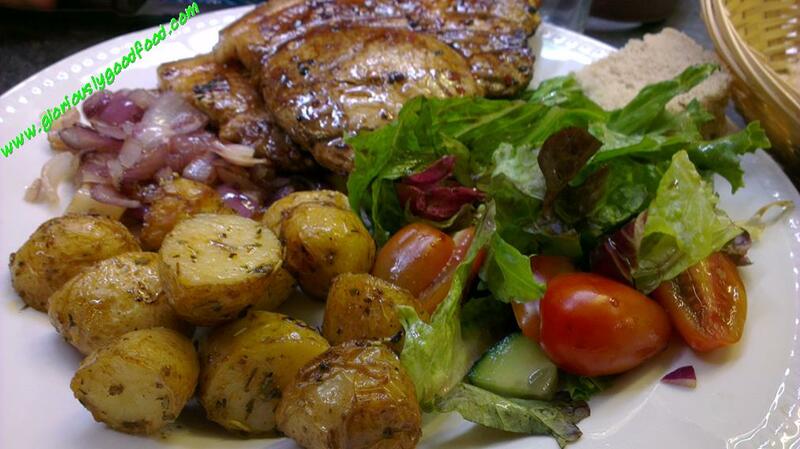 Not one, but two pork chops with a rich savoury flavour including a nice gentle kick provided by the presence of chilli flakes, deliciously sweet chunky fried onions, roast potatoes oozing with herby flavours and a lovely fresh side salad. Last, but by no means least, my youngest daughter had the Moules Marinières. These were worthy of any restaurant or café in France! Absolutely delicious! In fact, by the end of the meal, all three of us were dunking bread into her bowl of creamy sauce and even eating spoonfuls of it on its own! 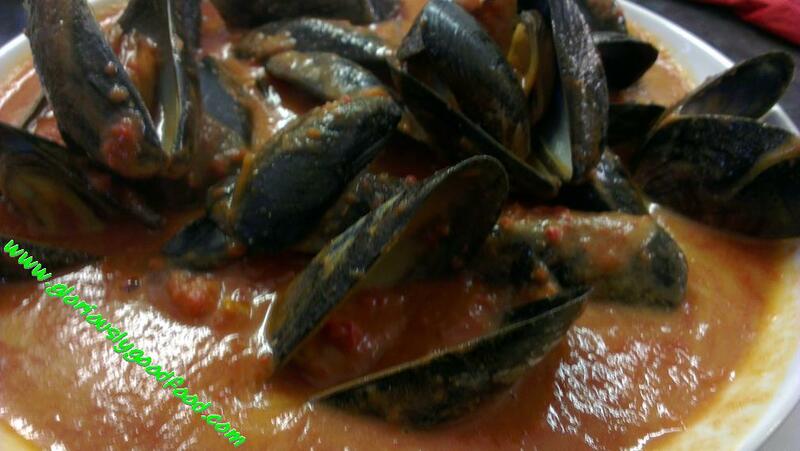 The quality of the mussels in both mussel dishes was outstanding, too. CaféMed at the Market is not a luxurious high-end restaurant, but it is a gem tucked away inside Doncaster Market for anyone who loves delicious simple food and mediterranean flavours. It offers great value for money (£30 for 3 of us, including soft drinks and as much bread as we could eat!) and all the staff are very friendly and helpful. Service was great even at the busiest time (it quietened down by the time we finished our meal) and it was a pleasure to eat there. I’ll certainly be visiting again! 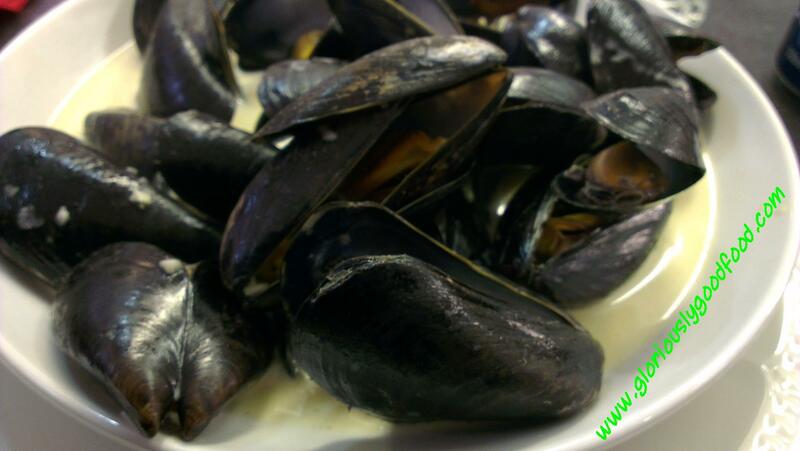 This entry was posted in Reviews and tagged bifana, cafe, cafemed, catalan mussels, doncaster, doncaster market, mediterranean, moules marinieres, mussels, pork, review. Bookmark the permalink. Thanks for posting this review on your site – must pop along to have more scrumptious food soon!